Hanging outdoor Plant Pot - Blue Heart & Bird Design. Pretty hanging outdoor duck egg blue planter. 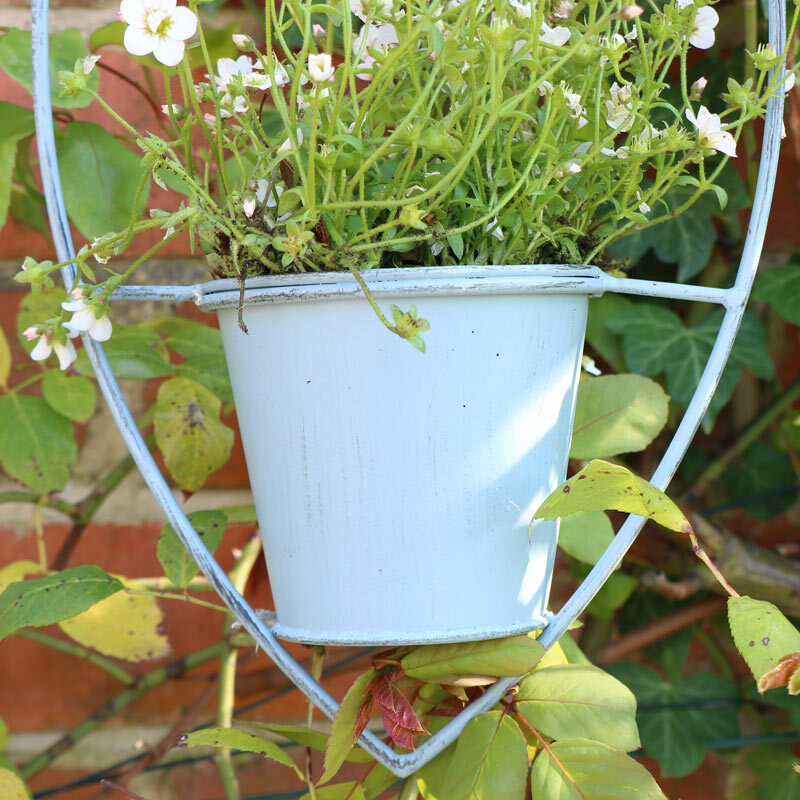 Shabby chic feel plant pot for displaying flowers in the garden. Heart shaped frame with cute bird perched atop and plant pot. Vintage style for adding a decorative look to the garden this summer. Can also be used indoors and hung from a window to bring the fresh summer smell of bloosoming flowers into your home. 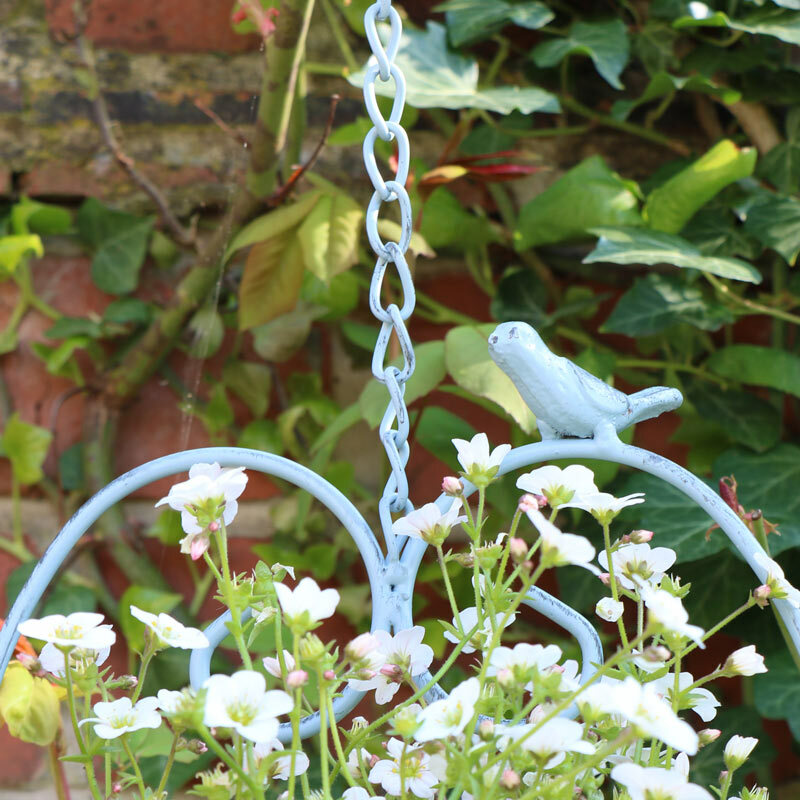 Hanging outdoor Plant Pot - Blue Heart & Bird Design. Pretty hanging outdoor duck egg blue planter. Shabby chic feel plant pot for displaying flowers in the garden. Heart shaped frame with cute bird perched atop and plant pot. Vintage style for adding a decorative look to the garden this summer. Can also be used indoors and hung from a window to bring the fresh summer smell of bloosoming flowers into your home. 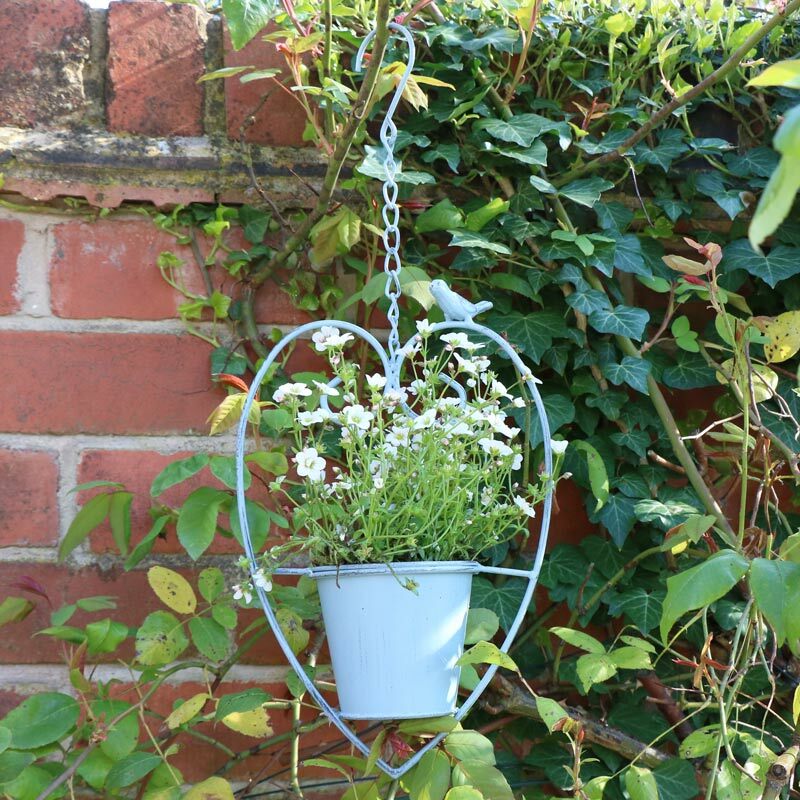 Constructed with metal plant pot fixed into heart shaped frame, finish in a distressed duck egg blue colour. Hangs from large hook on metal chain.